The role-playing video game didn’t really come into vogue in North America until console and gaming development shifted from the United States to Japan in the mid-1980s. Most gamers from that era remember the “Final Fantasy”, “Legend of Zelda” and “Phantasy Star” franchises, but there was one that popped up from time to time that, if anything, had people talking mainly about how to pronounce its name. The series was “Ys”, and its name was pronounced like “eece” (I thought it was “whys” at the time). 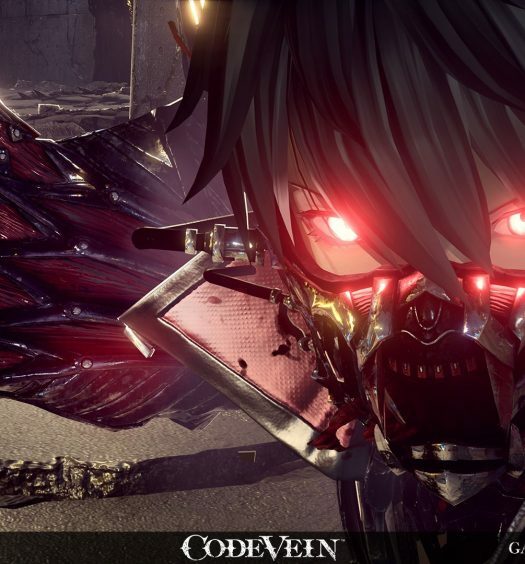 Nihon Falcom, the parent company of the action-oriented RPG franchise, has kept it going for now over 30 years, but mainly in Japan. Once in a while, the series did appear on US consoles, and now it has made its way onto Xbox One with the help of DotEmu in the form of Ys Origin. Ys Origin, as its name suggests, introduces players to the world of Ys, ruled by twin goddesses and six high priests. Cast as one of two main characters (with a third available later), players must explore a mysterious tower in search of the two goddesses, who have ventured into the tower for unknown reasons, while dealing with the tower’s denizens and other characters whose goals may not square with your own. Archetype change-up – Players launch their Ys Origin adventure by choosing one of two players, male and female. If one was expecting the male character to be the warrior type and the female character to be a traditional magic-user, prepare to have your worldview flipped. 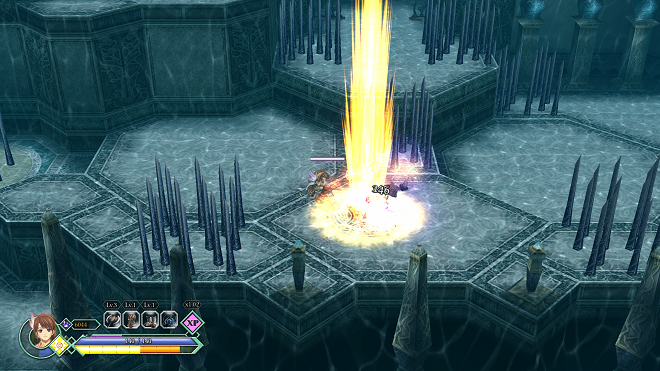 Yunica is a pro with axes and swords and battles her enemies in close quarters combat, while Hugo uses his mystical “Eyes of Fact” to do high-speed ranged damage. Both characters are easy to control and use similar control patterns, so you can switch between the two without missing a beat. Logical gameplay – One might expect exploring a vertical tower to be linear in progression, and you’d be right. The challenge builds as you get higher up, but so do your abilities, so you should be powerful enough to take care of any enemy you stumble upon. If you do encounter an obstacle you can’t clear, odds are there is an item you’ve missed in your current area that will get you through it. That’s where one of the game’s better plot devices, the Lila Shell, comes into play. Given to you early on and intended as a communication device, it serves as a way to nudge players in the right direction. Diligent exploration, and a fair dose of patience will serve players well here. Replay friendly – About switching characters… while you cannot switch between Yunica and Hugo in a single save, you will want to play the game with each character. Each one has their own narrative. While they will encounter most of the same plot points, some encounters are handled differently for each. Fortunately, unlike the last game I reviewed, users are given a whopping 64 save slots, making it easy to switch between each of your saves. If you run them in parallel, you can even change to your second character’s game save and catch them up while the events are still fresh in your mind. Thanks for (not) telling me that – While I applaud DotEmu for providing tons of save slots, would it be too much to ask to inform new players just how to save their game? In fairness, Ys Origin is very good at explaining new concepts with a pop-up screen introducing the controls for the new attack or new item you just got. But for as good as all that explanation is, not one NPC explains exactly how to save your game in one of those dozens of save slots. To save you the trouble, Dear Reader, you save at the statues of the goddesses you’ll discover in-game (and that are also explained, except for that detail). Too quaint – Overall, I actually like the presentation here, and I’m not expecting the game to make full use of the Xbox One’s capabilities. The orchestral score is excellent, and the pseudo-3D characters playing against rendered backgrounds hearkens back to the action RPGs of the late 1990s and early 2000s. However, there are points where the game’s true age shows. 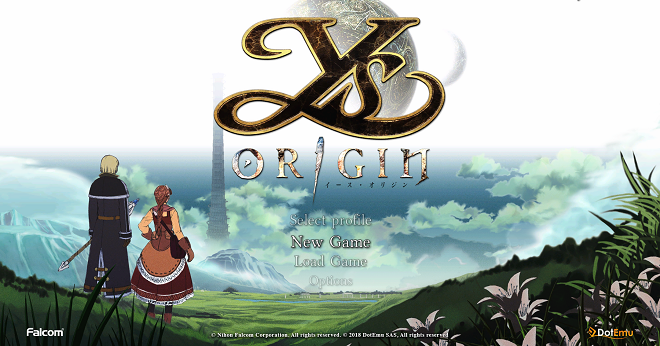 Ys Origin is a remaster/port of a PC game released in 2006, and it was not remastered up to modern display standards. Full-motion cutscenes appear mildly pixelated, and character sprites aren’t as sharp as in other recent games. It’s not enough to detract from the game, but it is still noticeable, especially on a large-screen display as found in a typical 2018 gamer’s entertainment center. Watch your mouth! – I’m not a prude. Around familiar friends, I can swear like a sailor. And I don’t mind at all a game where characters use colorful language when it’s appropriate. I’m fine with it in a Call of Duty or Gears of War, but it really seems out of place here. There is one in-game character you’ll encounter that has quite a mouth on them, and I’m honestly trying to figure out why. Are the developers doing it just because they can? Is the character covering up something, and this is how the developers decided to show that insecurity? I recommend playing for yourself and forming your own opinion. 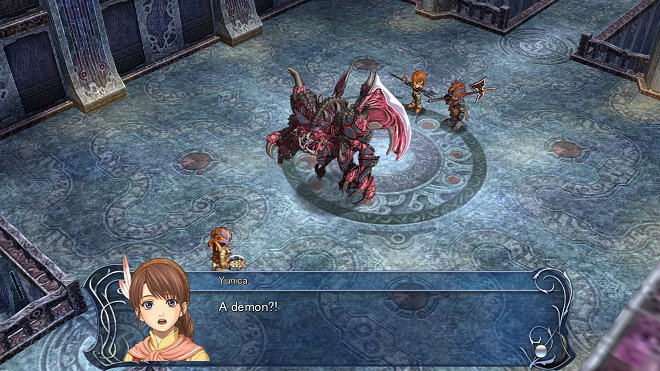 Ys Origin is Teen-rated, but if the language were toned down a bit, I would think it’d be E-10+ instead. As it is here, I’m puzzled at best, mildly disappointed at worst. 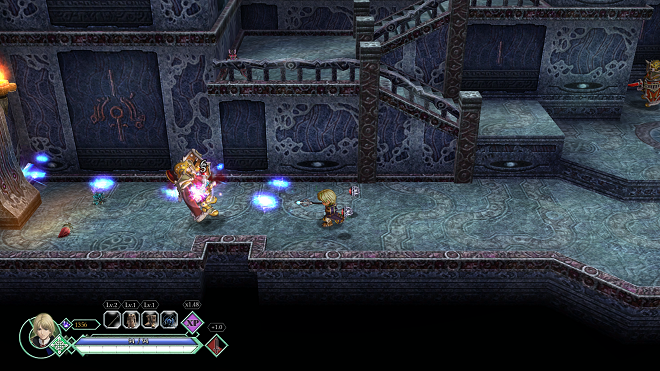 Ys Origin was developed and published by DotEmu. It was released on April 11, 2018, for $19.99. A review copy of the game was provided.